In 1917, Aileen Cole received her nursing certificate from Washington D.C.‚Äôs Freedman Hospital School of Nursing. At this time Cole did not think that she would be sent to the front in Europe to serve as a nurse, as many other American woman had. Instead, she thought she would be relegated to hospital and private nursing care. However, this was to change when she was instrumental in saving the lives of miners in West Virginia during the Spanish Flu Epidemic in 1918. Two days after the Armistice on 11th November 1918, Aileen Cole Stewart was approached by the American Red Cross about her availability to serve in the U.S. Army in its time of need. 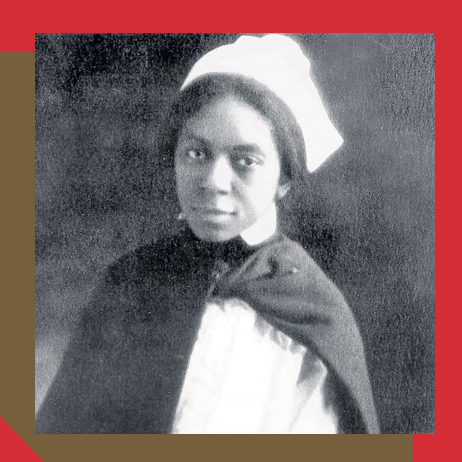 Aileen volunteered immediately and after a rigorous training course became one of the first black nurses in the history of the Army Nursing Corps to sign the oath of office on 29th November 1918. Although Aileen did not serve abroad in Europe she was instrumental in the setting up and running of a nursing corps at Camp Sherman in Ohio. After the war, the need for black nurses rose to such an extent that in WWII separate battalions of black nurses were established to help meet the nursing demand. It is without doubt that Aileen Cole Stewart, and others like her, paved the way for black woman and all women to engage in nursing in an army based setting.